Yesterday, I got an email from Lauren saying that she was going to an outdoor kickboxing class along the Hudson, and did I want to join. Kickboxing? Pretty views? Outdoors? Sure, I’m there. I was pretty excited for the class. The view was great and the weather was perfect. Still, the class turned out to be a bit of a mess for me. I’ve taken kickboxing classes in the past and loved it. This was different. We spent half the time doing bootcamp moves, such as squating, jumping jacks, and lunges. I can’t do any of these because of me knees, so I was the idiot jogging in place. Then we did a lot of ab work. My abs are fairly strong from Pilates, but we did these movements so fast and they didn’t take the time to show us form. Now my neck is killing me today. I know I should have just slowed down to do the moves properly, but the instructors were really into it and yelling, so I felt bad slowing down. Overall, it wasn’t a good workout for me, and I had to cancel Pilates today so that my neck can stop throbbing. Still, I’m always up for trying outdoor exercise classes, so it was worth a try. After kickboxing, I came home to find a much awaited package. 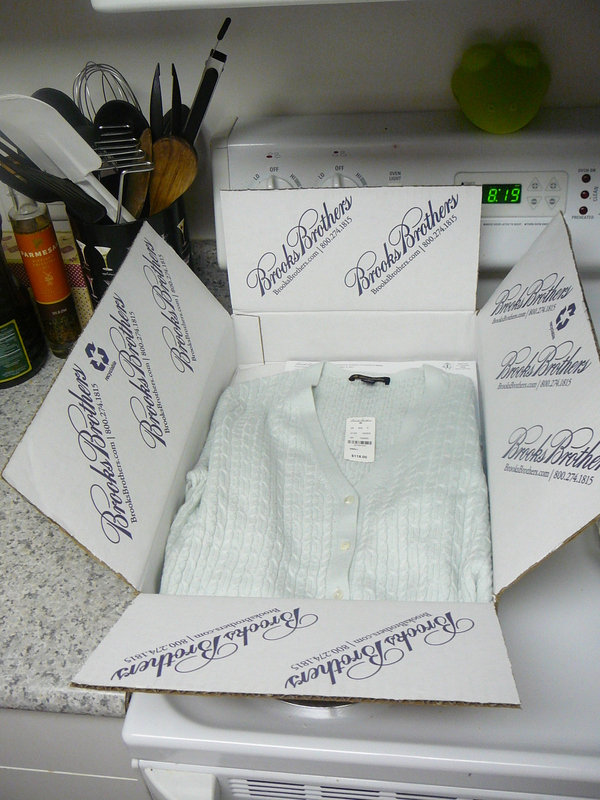 I ordered a cashmere/silk blend cardigan from the elusive Brooks Brothers. With the combination of sales reductions, a gift card, and a store credit, I paid $12 for this beauty. Cashmere and silk is bound to make any sore neck feel better. Chris made it home in time for dinner and volunteered to cook if I ran out for some wine. Done! 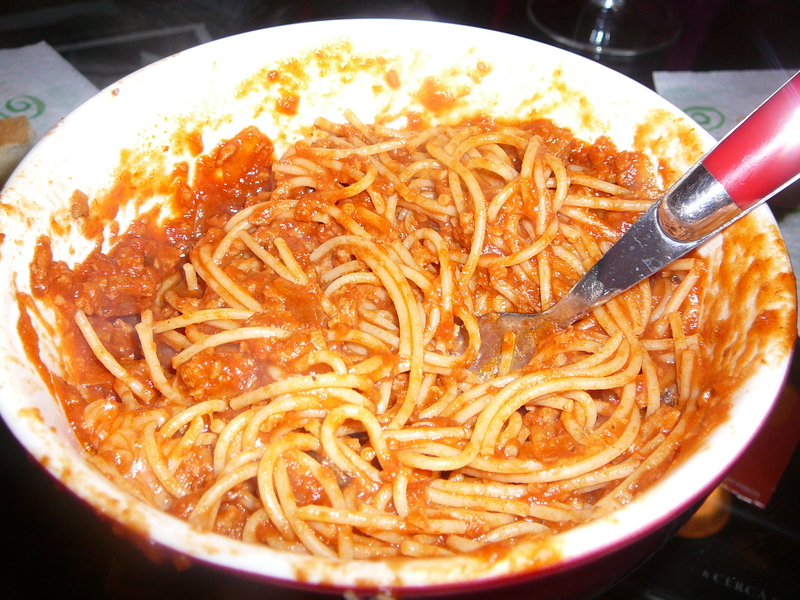 He made a delicious dish of pasta with Morningstar Crumbles “meat” sauce. 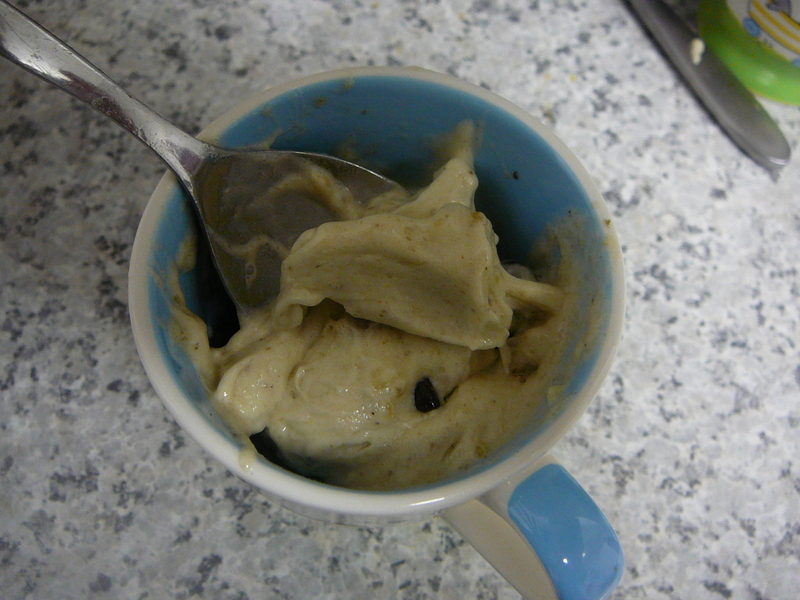 Lastly, I finally made banana softserve!!! This entry was posted in dessert, exercise, shopping, vegetarian, wine and tagged Brooks Brothers, kickboxing. Bookmark the permalink. I’m so envious!!! Gorgeous sweater, yummy cuisine…I’m going to try that wine!! 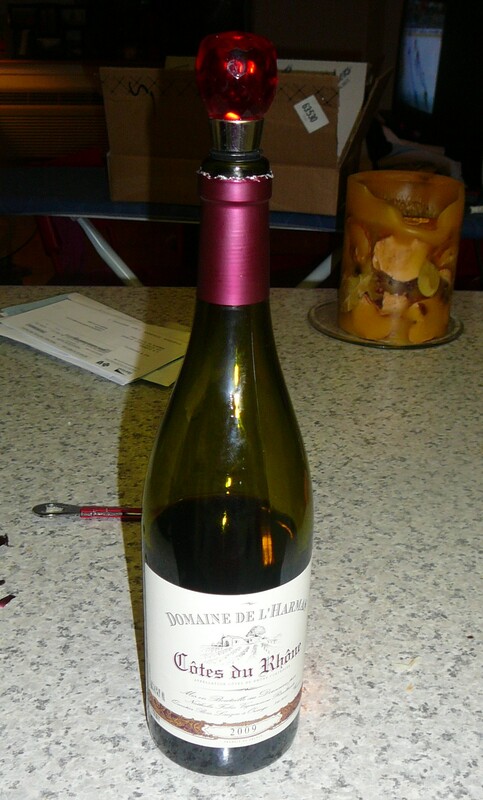 It’s really great – very dry and flavorful. i wished i liked wine…or that I was fancy enough to wear brooks brother’s stuff! I’m not really fancy enough for it either, but I figured anything goes in NYC fashion-wise. Durn it–can’t find that wine! Oh man – hopefully they’ll make it to your area soon. They are yummy and well priced.